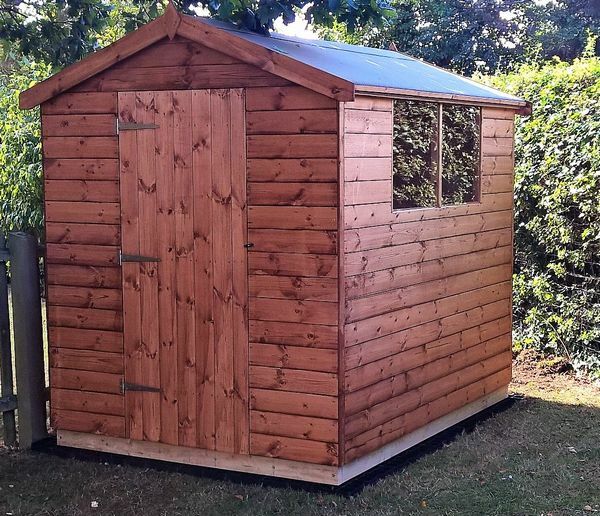 Our Standard apex garden sheds go up to 10 x 6 in size, for apex roofed sheds larger than that please see the Large Apex Shed page. 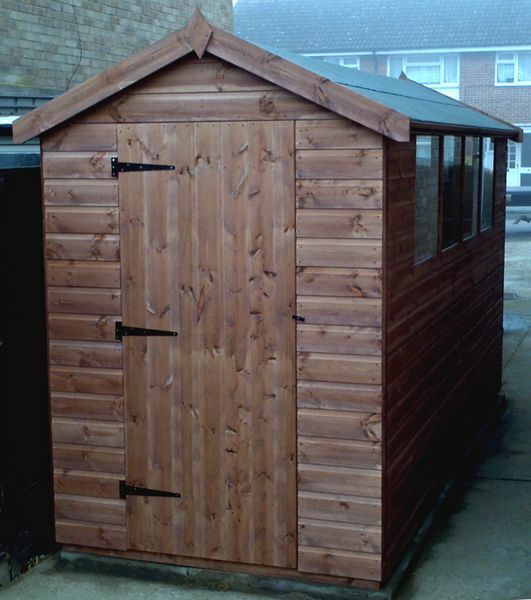 Our standard apex garden sheds are available in either 12mm or 16mm cladding. 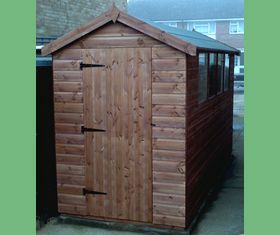 The internal heights are 6’ (1.83m) to the eves rising to a minimum of 77” (1.96m) internally at the apex – as the sheds get wider the apex gets taller. The roofs and floors are made from tongue and grove, the same quality timber as we use for the cladding. There is no chipboard used in the construction, it’s all natural timber. The doors are 30” (760mm wide) and 5’10” (1.78m) tall or 26” (660mm) wide each if you require double doors. The number of windows fitted is variable dependent on how long the shed is and they are real glass, no plastic glazing is used as plastic ages to an opaque yellow over time.